A group of contemporary artists bring you TAR – be it tar of shipyard, rope and sails, of night, of roads and pitch, sealing or preserving, medicinal or harmful. This exhibition celebrates the dark, resinous, aromatic, binding, bitumous and symbolic nature of tar. Curated by Tony Kearney. 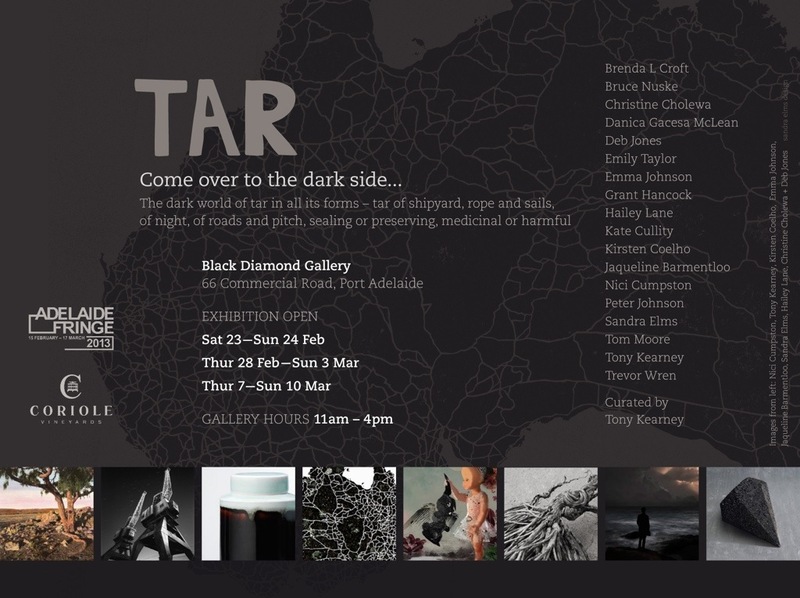 TAR is the third in a series of contemporary mixed media exhibitions curated by Tony Kearney, the previous two being RUST and SALT. Tony brings together established and emerging artists from disparate disciplines to celebrate elemental themes. Glass, ceramics, contemporary jewellery, photography, painting, drawing, installation, sculpture; all these work together to explore and respond to the theme of TAR.